The Oyster 56 is a world-class bluewater cruiser with a well-earned reputation in yachting circles as the gold standard in her class. She is by far the most successful design in Oyster’s four-decade plus history, with some seventy-five hulls built to order. If proven reliability, comfort, aesthetics, safety, seakindliness, the ability to handle the boat shorthanded and live-aboard for months at a time are priorities. the Oyster 56 is surely a stand out. Capable of voyaging across any ocean in style and comfort, the 56 is a spirited performer, yet carries enough volume to live comfortably for extended periods at sea. Designed for manageability and ease of use, Oyster 56s can be effortlessly handled by a savvy sailing couple, but have also been known to carry a professional hand as well. Several of the keys to her success are the flexible cabin layout, which features a forward island berth, offering VIP guests similar accommodations to the luxurious owner’s cabin aft; of course the signature Oyster raised salon windows; a large and ergonomically-designed cockpit, and gobs of storage space for all the necessary items required and desired for world voyaging. HARVEST MOON is an exceptional G5 Oyster 56. 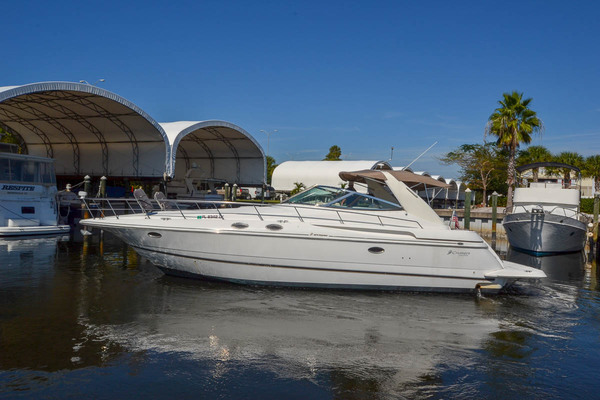 One of the last three hulls built, and delivered in 2010, she was commissioned by an experienced American cruising couple and therefore built to US specifications. Careful attention was paid to every detail, including: rich cherry crown-cut joinery; custom seating in the saloon; hand-sculpted companionway hand rails; a guest cabin with custom bi-fold doors with berthing that converts into a lounge. The list of options is thoughtful and the list of tools, spares and equipment - much of which was added to the boat in 2016/17 - is impressive. Though designed for ocean voyaging, HARVEST MOON has primarily been sailed on a seasonal basis with low machinery hours to show for it. She has always been professionally cared for by only two companies: Caribbean Yacht Management (Oyster’s Service Center in the BVI) and more recently The Hinckley Company in Portsmouth, RI. With all new electronics for Navigation and Communication and state-of-the-art B&G readouts for sailing instruments installed by Cay Electronics in 2017- HARVEST MOON wants for nothing. HARVEST MOON is berthed in the water and conveniently located at the Hinckley Company in Portsmouth, RI just up the road from Newport. 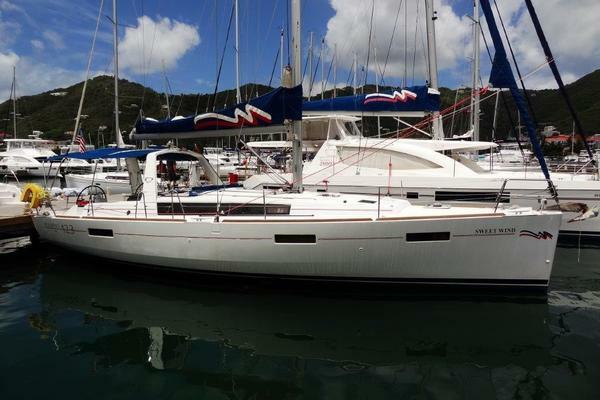 She is recently back from a successful Caribbean season which her owners enjoyed immensely cruising from Grenada to St Thomas. This was a “bucket list” item which, now accomplished, has generated a turn of focus to other pursuits. Originally offered at $975K she is now seriously for sale and asking $895K. We invite your close inspection. United Yacht Sales New Jersey would love to guide you through a personal showing of this 56' Oyster 56 G5 Deck Saloon 2010. 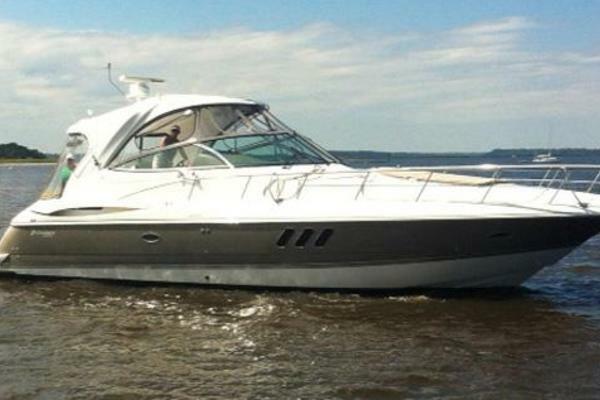 This yacht for sale is located in Portsmouth, Rhode Island and priced at $895,000. For a showing please contact us by filling out the form on this page and we will get back to you shortly! Six berths in three cabins, plus workshop with convertible berth, excluding the saloon. Interior joinery finished in quarter sawn cherry. Designed to be modern and coordinated, while remaining practical and durable at sea. Essential features include sculpted fiddles and grabrails, ‘shadow-gap’ joints between panels and Oyster custom knobs for lockers and drawers. MAIN SALOON The main saloon is extremely light and airy with seven deck saloon windows, of which two of the three forward ones open. There are also two opening portholes. This contributes to the great feeling of space and light in the saloon. Roomy curved settee area to port, with a Stressless ‘Taurus’ chair and foot rest in teak timber and black Royalin leather to starboard. Storage locker between this and main bulkhead housing drinks. Saloon table with removable stainless steel handrail. Two director’s chairs provide extra seating at the table, or on deck. Stainless steel book rack to starboard hullport recess. Electric TV lift and customized companionway steps with stainless steel handrails and solid cherry catch-all shelf under washboard hatch. Oval stainless steel overhead handrail. Glasses locker has an extra shelf to accommodate eight champagne glasses. NAVIGATION AREA Chart table area is customized around the electronics and navigational instruments which are flush mounted in ‘Slate Black’ Alcantara. Smoked Perspex doors to AC and DC panel above and behind Nav seat; with storage beneath. Pull down locker outboard. Additional locker below and outboard. Clever cubby for handset cords. Shelf above chart table. WORKSHOP To aft starboard. Worktop with white mica top covered with heavy duty black rubber mat, and removable rail to hold everything on the bench top in place while at sea. OWNER’S STATEROOM The aft cabin is configured with a double berth offset from the centerline, a curved leather settee, dressing table and hanging locker, with abundant drawer and locker space. Mirror with ‘pencil edge’ to cabin side of heads door. 2-brick safe, flush in wardrobe, with digital keypad. EN SUITE HEAD/SHOWER Upgraded to Jabsco Deluxe electric fresh water flush toilet. Washbasin with mirror above and separate Shower stall with Hans Grohe fittings. Countertops in Avonite gloss finish, color: ‘Autumn Wheat’ and ‘Buttermilk’ Formica in heads. HULL NUMBER Oyster 56/73 HULL CONSTRUCTION Hull is molded in GRP from female molds built by Oyster in their own facility under the designer's supervision, ensuring a smooth accurate finish. The hull and deck structure are molded to the designer's specification under controlled conditions and all laminating is carried out by hand to high standard. Hull and deck moldings are produced using a Lloyd's approved Gelcoat and laminating resin. On the hull the Gelcoat is a special Isophthalic resin and the outer laminates incorporate a Vinylester resin and powder-bound mats. This combination provides exceptional UV, weathering and water resistance properties. New bottom paint (2017). HULL FINISH White hull with cove line and double boot top lines in standard Oyster blue. DECK CONSTRUCTION Molded in GRP with balsa core for strength and insulation. DECK FINISH Teak laid decks, with teak bulwark capping rail. KEEL High performance bulb (HPB). RUDDER Fully protected skeg-hung rudder. EURCD Built to comply with the requirements for Category A – ‘Ocean’. White painted carbon spinnaker pole stowed vertically on mast. ENGINE Volkswagen Marine VW TDI 130hp - 5 cylinder turbo diesel engine (serviced 2017). ENGINE HOURS 3,100 as of 6/2018. PROPELLER Brunton 4-bladed 23" Varifold propeller, cleaned, serviced and polished (2017) ROPE CUTTER Ambassador rope cutter on prop-shaft (Serviced 2017. Spare service kit on board.) ALTERNATORS Twin alternators. GENERATOR Westerbeke BTD9.2 generator BTD 110./220v/60hz (serviced 2017). GENERATOR HOURS Approximately 1,491 as of 6/2018. BOW THRUSTER MaxPower tunnel bow thruster CT165 (including eyebrow and anode) 11 hp - with joystick control panel at helm. (new 2017) STEERING SYSTEM Whitlock steering - cable. AIR CONDITIONING (3) Cruisair aircon units (3) 16,000 BTU (48,000 BTU at 60hz), including guest cabins. HEATING Webasto DW Thermo 90 - (5) fan-coil units: (2) in saloon, (1) in each cabin, except workshop. WATERMAKER Seafresh 110v AC watermaker - approx 120 Liters/hr; controls visible and easily accessible in cabinet in workshop. FUEL 945 liters approximately (250 U.S. gallons) in (1) GRP tank. WATER 950 liters approximately (251 U.S. gallons) in (1) GRP tank. TANK TENDER GAUGES Tank Tender system for fuel and diesel tanks; gauge at Nav. HOT WATER Hot water is from (1) insulated approximately 73 liters (19 U.S. gallons) tank, heated by the engine’s heat exchanger or by thermostatically-controlled 220v, 1.25kW immersion heater elements powered by the generator or dockside power. PRESSURISED HOT AND COLD FRESHWATER SYSTEM FRESHWATER SYSTEM (2) Fresh water pumps - Twinmax. HOLDING TANKS Polypropylene gravity-emptying holding tank for each toilet. Wema gauges. MANIFOLD SYSTEM Seawater manifold, stainless steel with twin inlets. Mastervolt 220V MASS 24/100 charger for shorter generator running times with bow thruster, electric winches etc. (4) Large black inflatable air fenders 36”x 18”. These are easily inflated with a small electric pump and easily deflated, rolled up and stored. Additionally, (4) standard white inflatable vinyl fenders as needed. DIVE SYSTEM 110V Hookah dive system (new 2017). CROCKERY Oyster customized Wedgwood china crockery. CUTLERY Oyster customized Sheffield / Robert Welch stainless steel cutlery. SAFE 2-Brick safe flush-concealed in aft cabin wardrobe, with digital keypad. MANUALS Extensive inventory of spares and manuals. HARVEST MOON was purchased in 2016 by experienced offshore sailors with 25,000 bluewater miles to their credit. A refit was performed to prep HARVEST MOON for circumnavigation, but plans changed just as the refit was completed, with the boat now being offered for sale in true “sail-away” condition.